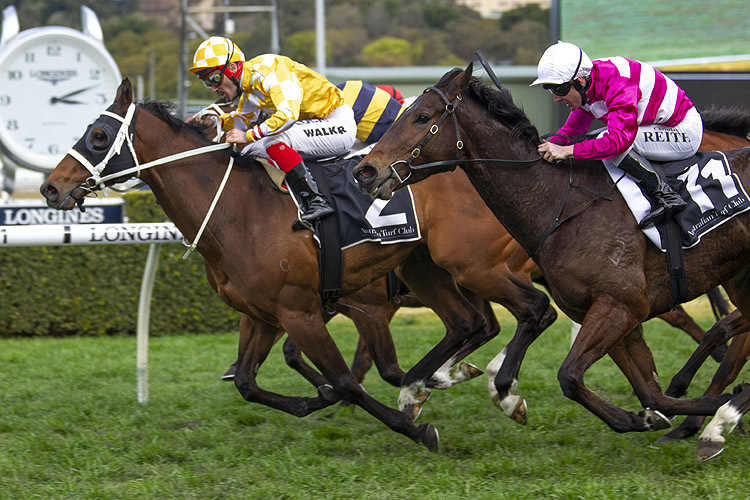 The Randwick Timeform wrap featuring a race by race recap and blackbookers for the Chelmsford Stakes Day meeting held conducted on September 1. 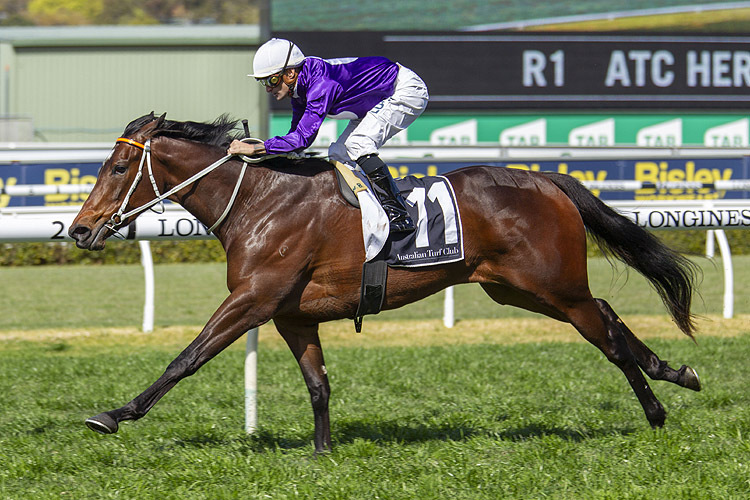 The Randwick Timeform recap featuring a race by race overview of key performers and ones to watch out of the Chelmsford Stakes Day program on September 1. Four Group races were conducted through the Randwick program spearheaded by the Group 1 Chelmsford Stakes claimed by Unforgotten. Second placegetter Ace High got his prep back on track after a forgettable first up outing while Libran and Sedanzer are also performing well early in their preps. Redzel made his return to the racetrack with an impressive display, successfully defending his 2017 Concorde Stakes title as he looks toward claiming a second straight Everest. The Team Snowden-trained gelding became the first sprinter to ever win consecutive Concorde Stakes' since its inception in 1990. He also lays claim to being the highest rated winner of the Concorde Stakes in the past 25 years. Comin’ Through impressed in taking out the Tramway Stakes and was the first leg of a Michael Walker/Sir Owen Glenn double with Pure Elation winning the Furious Stakes. The meeting concluded with one of the stronger Benchmark 94’s you’ll come across, taken out by UK Group 2 winner Best Of Days . Following in the footsteps of stablemate Avilius , Best Of Days reaffirmed UK Group 2 form is superior to Benchmark racing in Sydney. Chris Waller Group performers in Sambro and Another Dollar were finishing off well behind him, each first up off encouraging preps at the end of their three-year-old seasons. Reginae enjoyed the gun run in behind the early leader. She got the gap along the fence, attacked it and drew right clear over the final stages. The All Too Hard filly ran to a Timeform rating of 100. She’s beaten some good opposition. The two Godolphin placegetters in Condemned and Ranier should be winning some time this spring. Reginae has a pretty low Benchmark so they could always work her through the grades. The lure of chasing black type in a race like the Tea Rose or the Flight Stakes might prove a bit too strong though. The Kris Lees-trained filly is well bred being a half to Fuhryk who is a dual Group winner and placed in the Winterbottom. Quackerjack in eighth was unlucky. 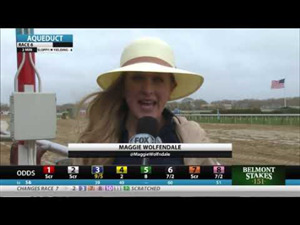 He raced up onto heels in the straight and the jockey looked to have a lapful of horse underneath. We’re so used to seeing Goodfella settle back and run on. He’s been able to take up a more forward spot in his past couple of runs since getting up over a bit more ground. Abdon is clearly the horse to follow out of the race though. He carried half a kilo more than Goodfella and ran the same figure. He’s a UK horse and both runs since arriving in Australia have been great. Chris Waller imports always find an extra length or two in their second Australian race preparations. Abdon is likely to be no different. There are a couple of options for him second up over the coming weeks. Gordon’s Leap caused something of a boilover. The Class 1/Class 2 country form he brought to Sydney on Saturday generally hasn’t been cutting it in Highway Handicaps of late. It’s apparently the last run of his latest prep so a good way to go out. The Country Championships Final is on his radar next campaign according to trainer Lisa Sheppard. Rapture Miss caught the eye out wide late for sixth. 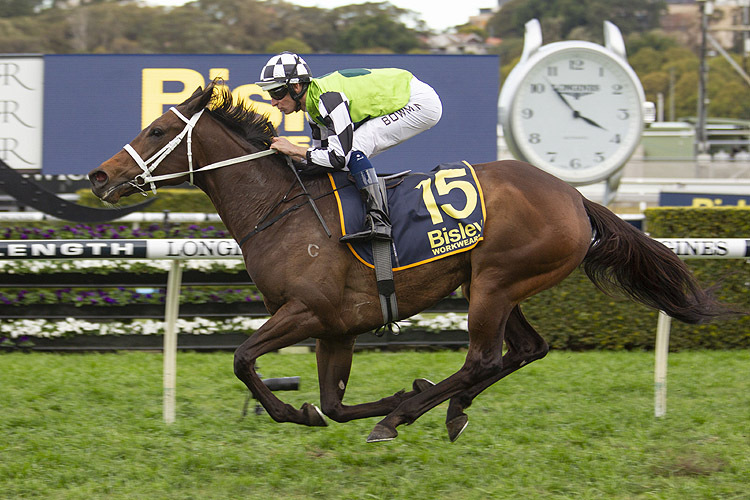 There is a 1500m Class 2 Highway Handicap at Rosehill in three weeks where she could be well suited. The Lord Mayor settled third behind a couple of tearaway pacesetters. He got the split at the 300m. From there the New Zealand import proceeded to let down well and hold off his stablemates Quick Defence and Brimham Rocks. The son of Rock ‘n’ Pop ran to a Timeform rating of 102. It seems to be a case of where there’s smoke there’s fire. He was well backed to win first up over 1400m which was always going to be too short for the gelding who ran fourth in a New Zealand Derby. 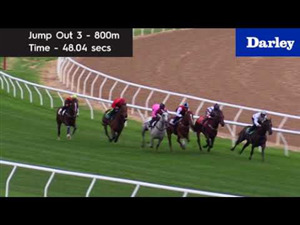 He was much better suited up over 2000m on Saturday. There is another race over the trip at Rosehill in three weeks he can go to. Depending on how well he performs, Chris Waller can potentially back him up after that into the Metrop. Brimham Rocks was charging home late in third but was perhaps a run short. 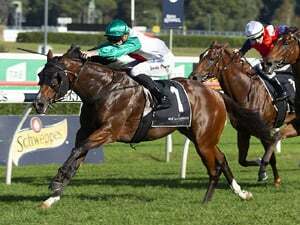 He could also go to that same 2000m race at Rosehill and fits the mould of a Chris Waller import improving at his second Australian race campaign. 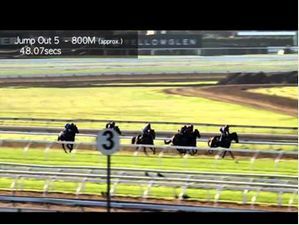 It profiled like a match race between Invincible Star and Redzel. Invincible Star led and Redzel settled outside of her. 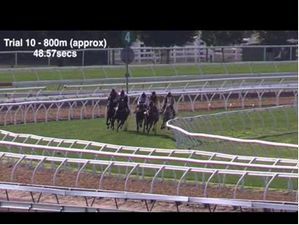 As the proven sprinter of the field, the son of Snitzel flicked her aside pretty easily approaching the 100m. He’s run to a Timeform rating of 121, the same figure he ran to winning this race 12 months ago. He’s the highest ever rated winner of the race through the past 25 years. 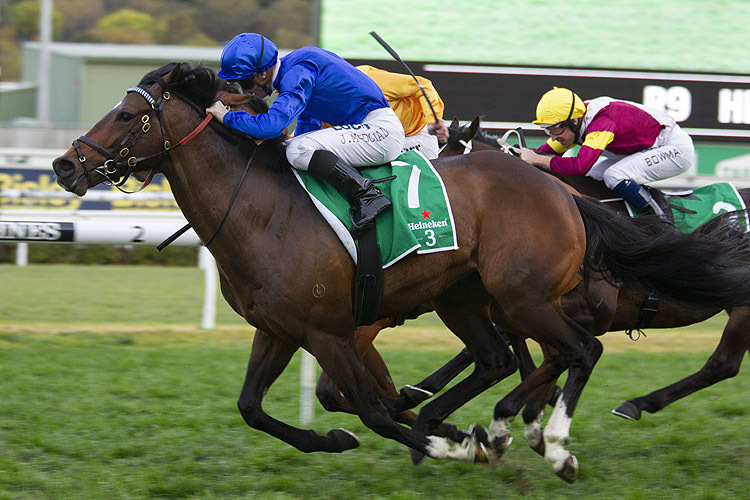 The Everest is breathing new life into these Sydney sprints over the spring. The Concorde, The Shorts and The Premiere are all attracting big names as they head to The Everest. Kaepernick was excellent in second. He switched to the John O’Shea stable at the start of last year and has barely run a bad race. Invincible Star held her own in third. 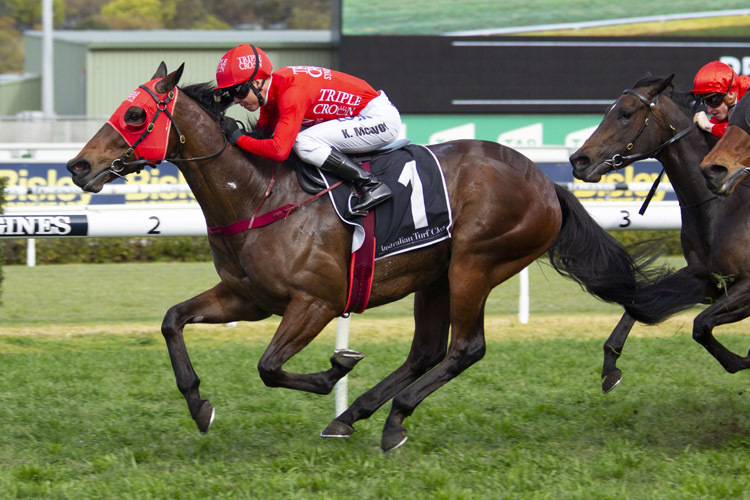 It is hard to imagine her turning the tables on Redzel moving forward however she will have taken plenty of benefit from her first race start since November 2017. The decision to geld Comin’ Through last summer has transformed this horse. He can now add a Tramway to his accomplishments in 2018 which also include a Doomben Cup, an Ajax Stakes and a second in the Doncaster to Happy Clapper. 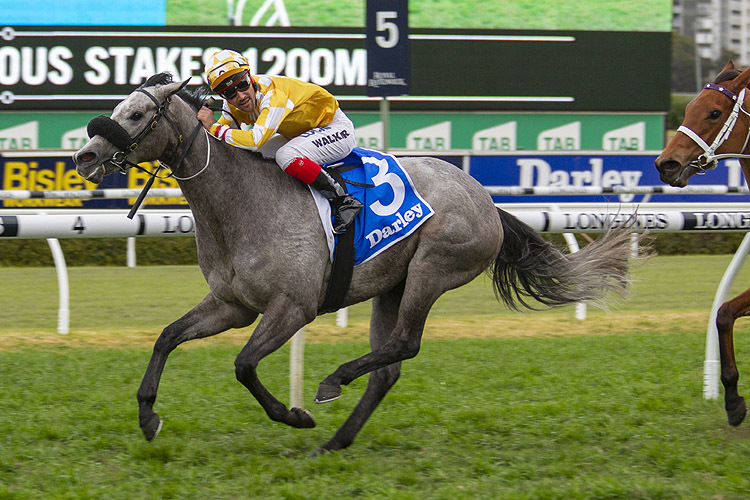 The son of Fastnet Rock on Saturday ran to a Timeform rating of 121. Right on the prior five year average of the event. He’s an extremely versatile horse. He’s won over 1400m up to 2000m. Apparently he’s heading to Melbourne now for a race like the Underwood. It will be interesting to see how long he can race for this prep. If they can stretch him to late November, early December, the Kingston Town Classic (1800m) in Perth could be a good race. Tom Melbourne in second was Tom Melbourne while Dixie Blossoms was great against the boys. 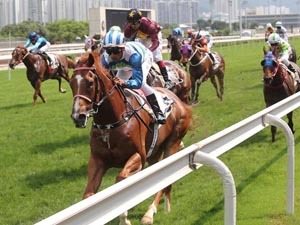 Egg Tart and Youngstar were each solid late behind runners. Unforgotten put the writing on the wall behind Winx in the Winx Stakes first up. On Saturday she settled midfield and was powerful late. We assessed the run at a Timeform rating of 115. That figure is still a length or so off her career peak in the Australian Oaks so there is still a bit for Chris Waller to work with there. 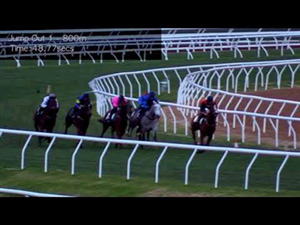 Waller has the enviable task of keeping all his runners separated. Unforgotten, Youngstar, Egg Tart, Libran and Comin’ Through, They all looked to have returned great. Keep them separated from each other, not to mention Winx. Ace High in second got his prep back on track after struggling in the Winx Stakes while Sedanzer in fourth was excellent first up. Pure Elation was given a beautiful run in fifth on the fence and was too good late. The display returned a Timeform rating of 111. The Tea Rose Stakes is next for her and the I Am Invincible fillies spring campaign path thereafter will likely hinge on how she performs. The Flight Stakes over the mile is the logical progression however it could be decided she is more of a sprinter. 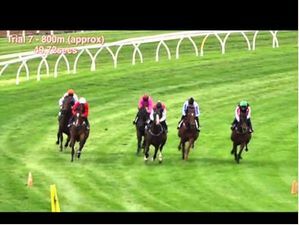 Considering she was giving fitness to the likes of Fiesta, Oohood, Outback Barbie and Miss Fabulass, Pure Elation should take beating in the Tea Rose Stakes and would be the tenth filly since the turn of the century to claim the Furious Stakes/Tea Rose Stakes double. Pretty In Pink also first up caught the eye late in third. Best Of Days came to Australia as a UK G2 winner with a Master Timeform rating of 116 when he placed in a Listed race at Newmarket 12 months ago. 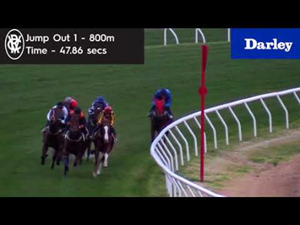 He was always going to be well placed on Saturday in a Benchmark 94 Handicap. In opening his winning account in Australia, the son of Azamour ran to a Timeform rating of 103. 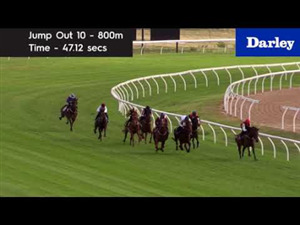 The Epsom in four weeks profiles as a potential goal for Best Of Days and the Group 3 Cameron Handicap (1500m) at Newcastle on September 14 could potentially be his final lead up into it. Sambro could also be headed in that direction and was solid first up. 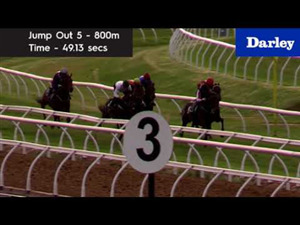 He wasn’t beaten far behind Best Of Days despite giving him both weight (3.5kg) and fitness. Stablemate Another Dollar also resumed well while the runner up Sir Plush looked much more at home over seven furlongs after commencing his campaign with two 1100m runs. Race Synopsis: Unforgotten, who was having her second start since winning the ATC Australian Oaks (Gr 1, 2400m) in April, staged a very smart effort in winning here. 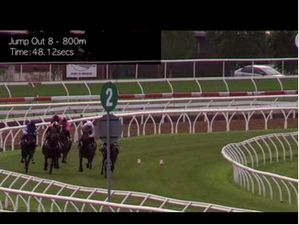 She settled back in tenth place, on the rails, improved (between runners) on straightening, but was then held up for clear running until Hugh Bowman found a gap at the 200m. She then dashed to the front shortly afterwards and went on to win quite impressively, looking set for a big spring campaign. Ace High began well from his outside barrier (15) and crossed to settle in sixth place, one off the rails. 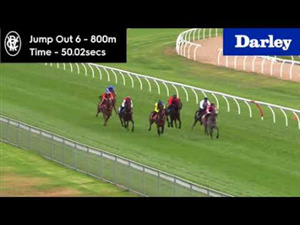 He was under riding nearing the home turn, lifted from the 200m and then ran on well to gain second in a photo in a promising effort at his second run back. 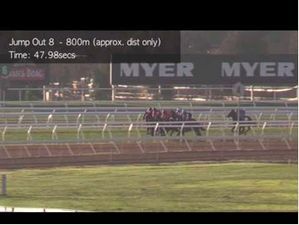 Libran, having his second start this preparation, was last to the 600m before improving (deep) on straightening. He then finished strongly and impressed with his late-closing third. Despite his age (8YO), he seems to have returned in perhaps the best form of his career. 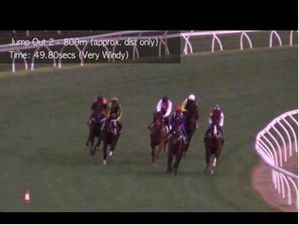 Sedanzer settled back in 12th place, commenced a wide move on turning for home and ran on well for (1.5 lengths) fourth in a promising first-up effort.